Well, we have the second birth in the back yard pen! Buffy the American gave birth to three healthy pups! All wandering around. Since there are two males in this pen, it is hard to tell who the father is, it could be Black and Tan. 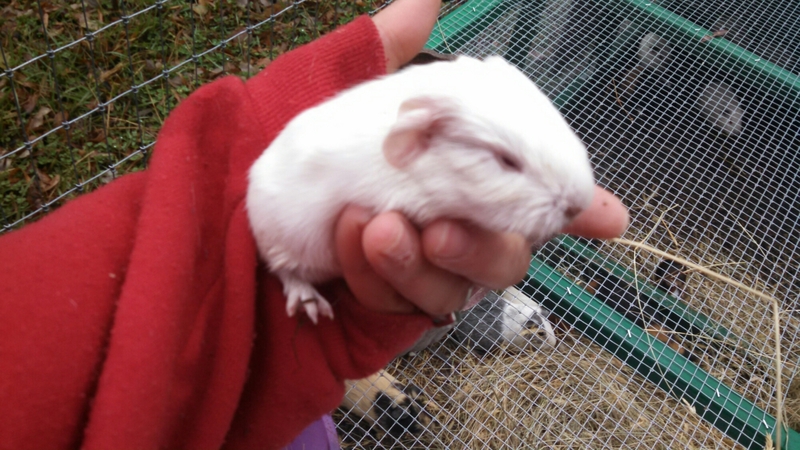 Most likely it is the Himalayan boar though, given the one albino pig. These guys creep me out, but they seem to grow fast. This fella was very adventurous, following all of the big pigs around. 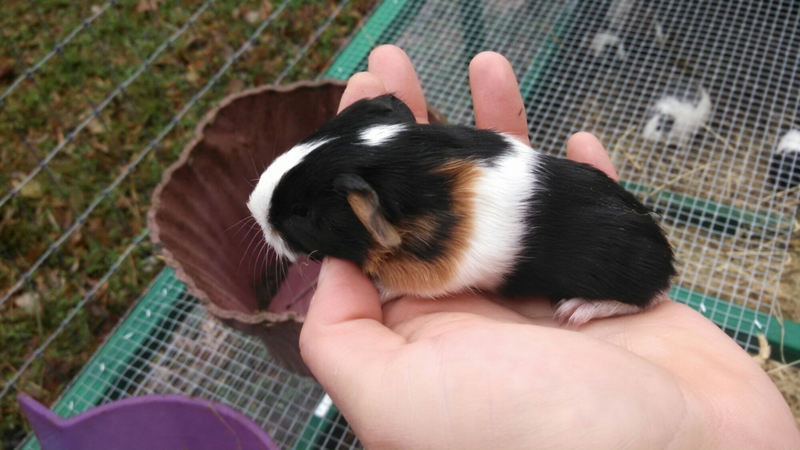 I really enjoy the black and tan markings that the other two pigs have. This one has one tan eyepatch, and one black eyepatch. 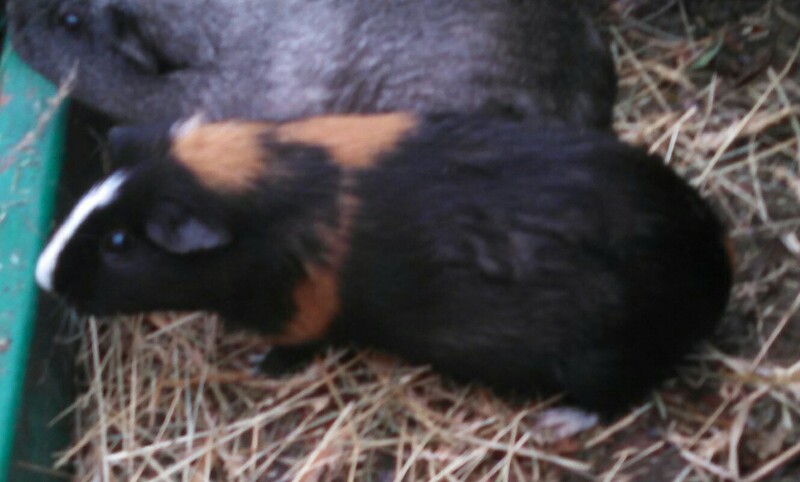 And we have a mostly black pig with Dutch markings, with a little bit of red trim thrown in. 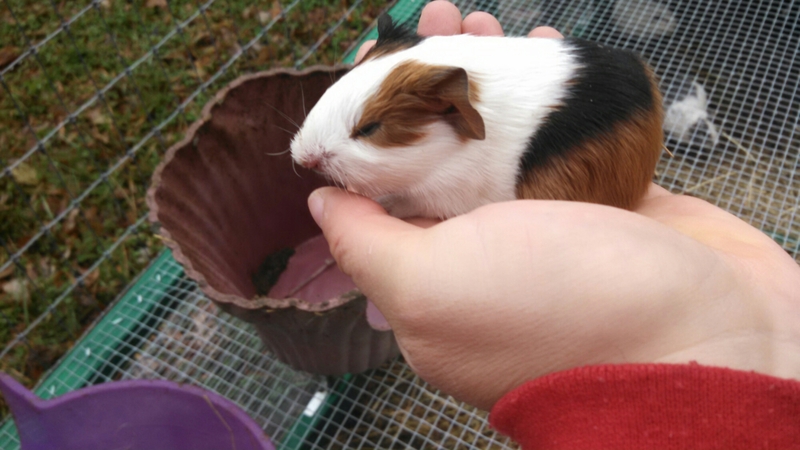 They join the other four babies in the growout pen.